Cover the highlights of India’s history-packed capital in a single day on this private sightseeing tour of Delhi. 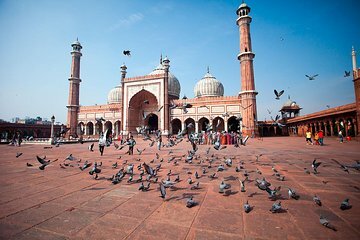 You’ll see both modern and traditional sides of the dynamic city, from must-see Mughal landmarks to bustling food stalls. Travel like a local on the high-speed Delhi metro, then hop a three-wheeler rickshaw for an adventure-filled ride through the Old City.